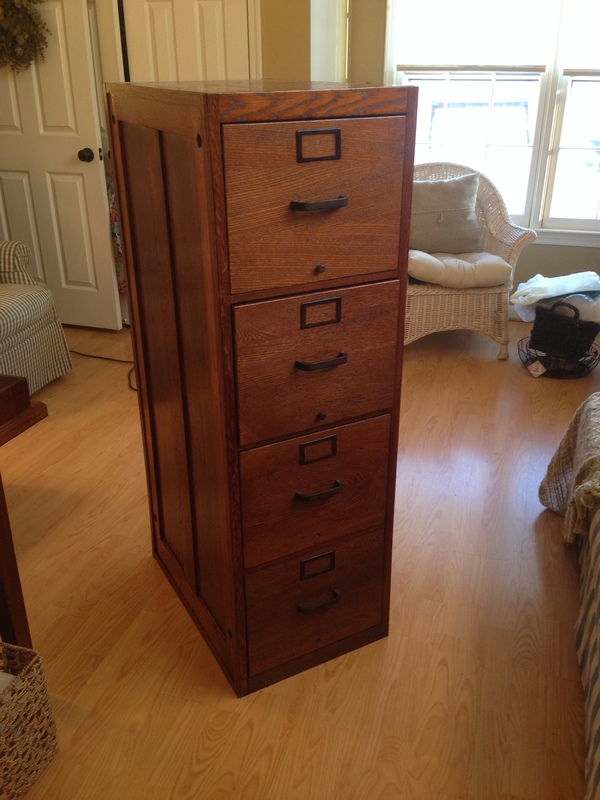 I have had an old oak 4-drawer file cabinet in storage for a number of years waiting for the right time to restore it, or perhaps make it better than it ever was. 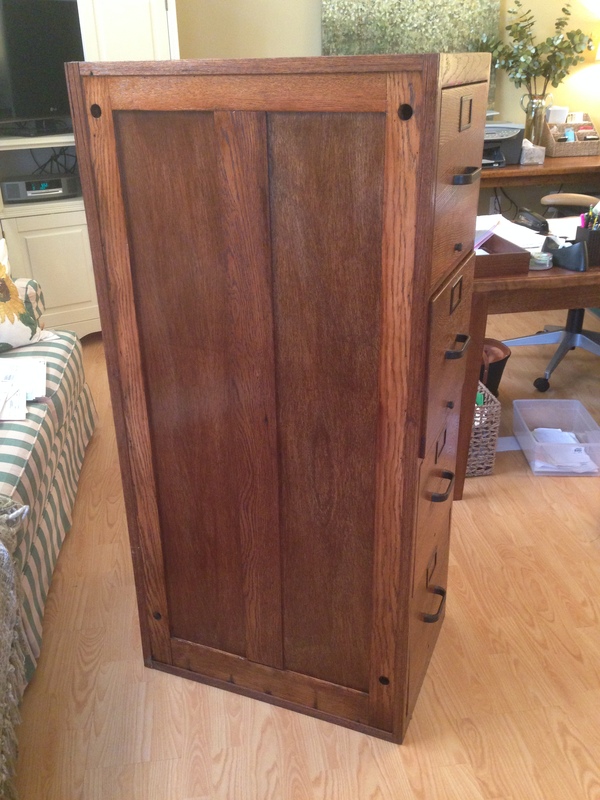 With a little sandpaper, some wood glue, stain and sealer, what was probably a file cabinet in a 1960’s office turns into a fine piece of furniture that has unique character and warmth that you just can’t find in a comparable cabinet built today. File cabinets will become an article of the past as paper is replaced by electronic means, but with a little creativity, a well built file cabinet can be turned into a vertical storage cabinet, a wet bar, or computer workstation in a studio office. 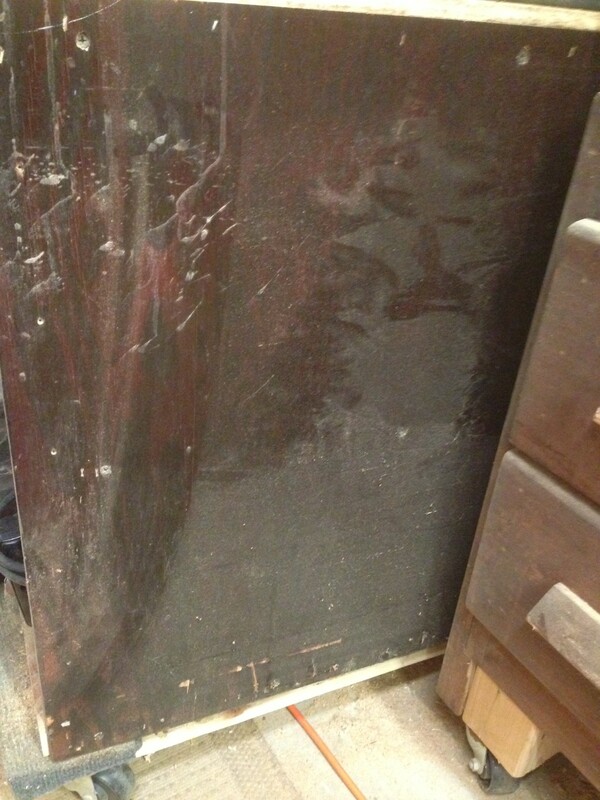 When I took possession of the file cabinet, the front drawers had been sanded to bare wood to reveal their true potential, but the sides, top and back had been covered with what appears to be b-grade 1/4″ plywood that was stained a dark cherry color that more closely resembled cordovan shoe polish. 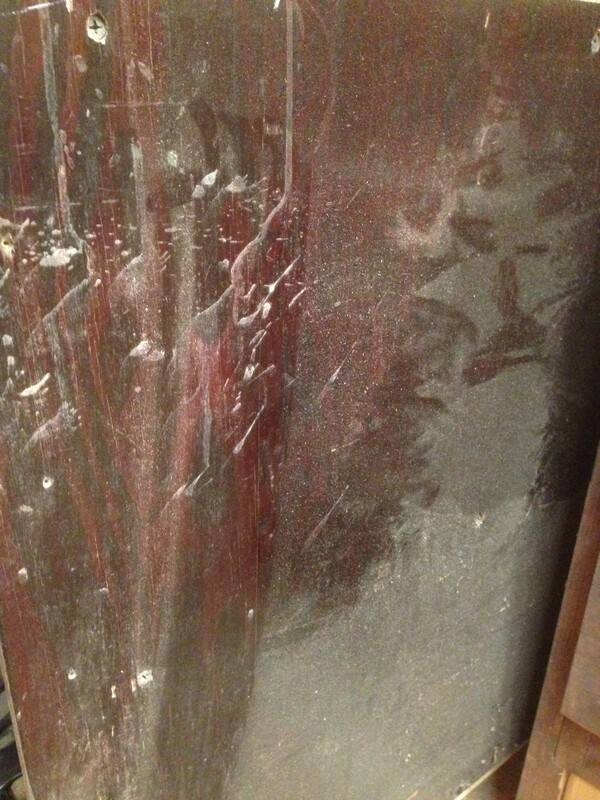 When I peeled away the sheathed sides, I found a rough face-frame that connected the adjacent faces of the cabinet. Lots of potential but not much character. I decided to create a paneled effect by adding a center stile on both sides and then inserting oak panels in the dados created in each of the styles. Immediately, I could see that the character was revived. I ripped 1/8″ by 1″ trimmed to finish the edges and add another layer of dimension. Following progressively lighter sanding with a palm sander and then steel wool, I finished the entire exterior with two coats of English Chestnut stain. Another round of sanding with #00000 steel wool and I completed the finish with three coats of tung oil, lightly sanding between coats. 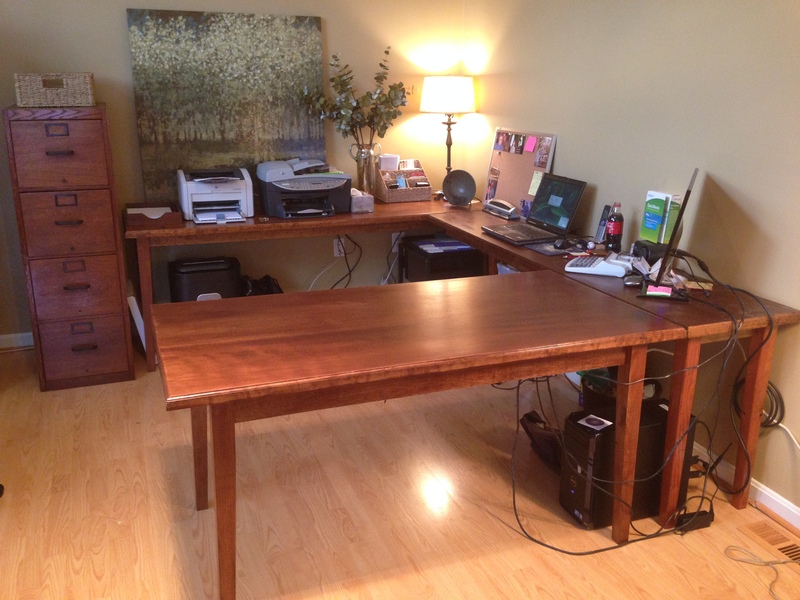 The finished product has a deep and rich color that fits perfectly with the other furniture I have built for my wife’s office. Great job – those things still serve a purpose and fetch a decent amount in the right store.